Can you provide me with a copy of your insurance? Yes. We are fully insured and licensed, and we provide a copy upon request. Does my home need to be power washed before exterior painting? Yes. The exterior of your home takes abuse from weather conditions, including rain and snow. It is important to have a clean surface before applying paint. Do I need to remove heavy furniture? No. We move all heavy furniture. We only ask that you move small items and breakables, such as glassware, lamps, and pictures. 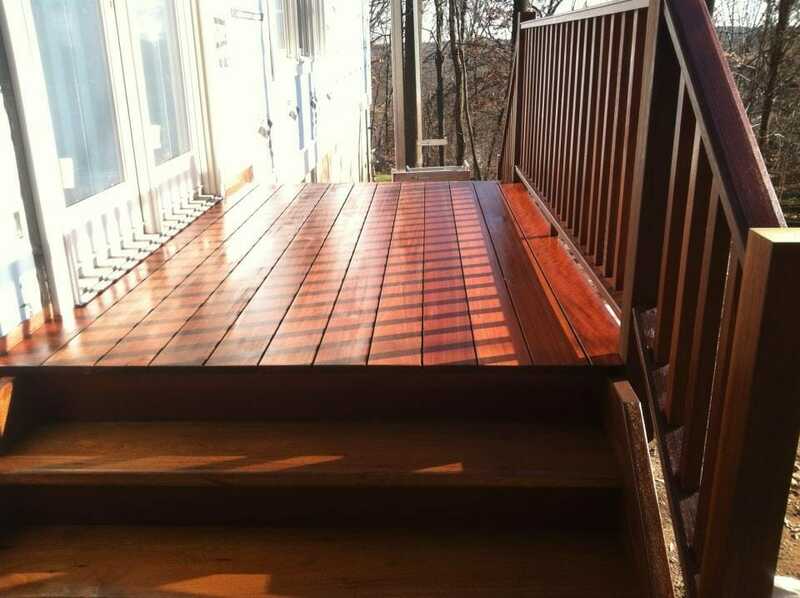 We recommend painting or staining your deck every two or three years. Because decks take a lot of abuse, it is important to consistently maintain them. 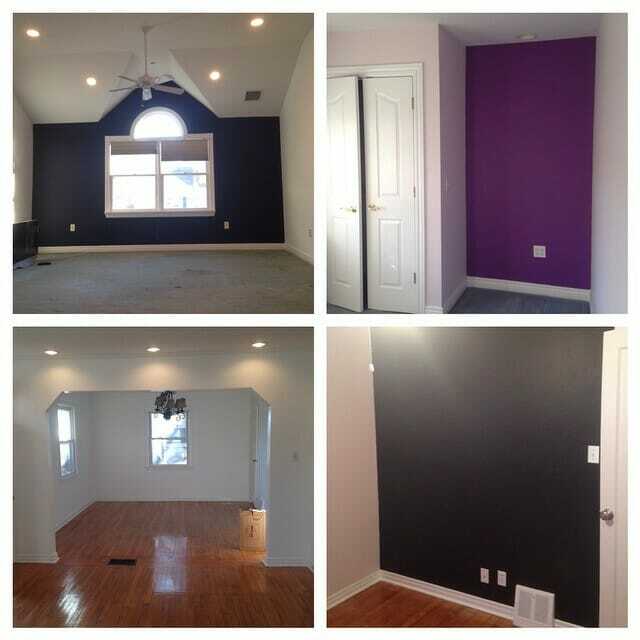 What type of paints should I use for the interior of my home? 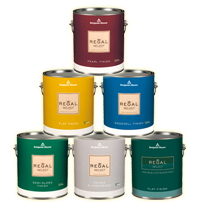 All of our jobs are done with Benjamin Moore® paints. Does the customer have to be home when work is being done? No. We are a family-owned business and treat your home as if it was our own. Feel confident knowing that your home is safe while work is being done. Challenge: Do you have a room that doesn’t get much natural light? Do you want to make it look brighter? Choosing to have this room painted in a light color could be the best option. On the flip side, a dark, rich color could give the room a feeling of warmth and elegance. Are you planning to have your older home painted? It’s recommended that you use a historically accurate color scheme. There are many historic color charts available online so that you can select shades that might have been used at the time your home was built. While you may have a natural green thumb that allows you to keep your lawn and garden in professional shape, your home’s aging exterior could be detracting from all your hard work. When you need to ensure your home is just as lovely as its surroundings, power wash the exterior surfaces or go with a fresh coat of paint. Setting the mood with color. If you are looking for a color for a bathroom, a green hue is often an excellent choice for this smaller space. A peaceful shade of green has the ability to evoke a sense of calm, transforming your bath into a quiet retreat away from the world. Why is it so important to prepare your house before painting the exterior? Paint won’t adhere to dirt or loose, flaking paint. A professional painter has the tools and experience to make sure the preparation work is done properly. Challenge: Do you have a long and narrow room? Consider painting the end walls a darker shade than the long, narrow walls. The darker colors will recede and create an illusion of width in the room, while the lighter color will advance. Have you been hesitant to hire professional painters because you don’t want to spend the money when you could do it yourself? Remember, after buying all the paint and supplies, you may find that you don’t save as much cash as you thought you would. DIY painting projects rarely go as smoothly as you thought they would when you started. If you don’t want that Friday afternoon painting project to turn into an all-weekend ordeal, you may want to use a professional. How often should I paint the exterior of my home? The frequency of exterior painting depends on a number of factors, one of which is exposure to sunlight. Sides of your home that receive the greatest amount of sun – especially during the hottest times of the day – are more likely to need repainting than the other sides. Fresh paint not only provides a pleasing appearance, but it protection against sun and weather.